For instance, take a look at companies like Google, Yelp, Apple, Nike. Why were they able to be so successful? I understand that I’m referencing big influential companies, but they all had one thing in common, and something very valuable to learn. They all knew that in order to become bigger than what they were, they had to be brave enough to disrupt themselves. In other words, they understood the meaning of competition and decided that if they challenge themselves to be different or better every day, then no one would have any influence over their success. That is what made them so unique. That is what allowed them to become great. So, how do you disrupt the tax industry? Before I delve into my secrets, I need you to think about a very important question. How willing are you to be successful? In any form of success, you have to be willing to make the necessary changes in order to achieve it. I recently came across a 14 year old kid name, Caleb Maddex, who has written a best-seller, and manages his own company, but that wasn’t the most fascinating thing about him. He mentions that “the gun that kills the most people is the “gonna”. In other words, don’t fall victim of saying that you’re “gonna” do something, and instead just do it. Now, think about the improvements you need to make for next tax season. This time focus on implementing new ways to improve. If it’s marketing, take some time to understand how Facebook can help your business. If it’s sales, figure out a new strategy that can get people excited. If it’s management, find creative ways to challenge your employees and focus on your work environment. The tax industry has followed a similar path for quite some time. 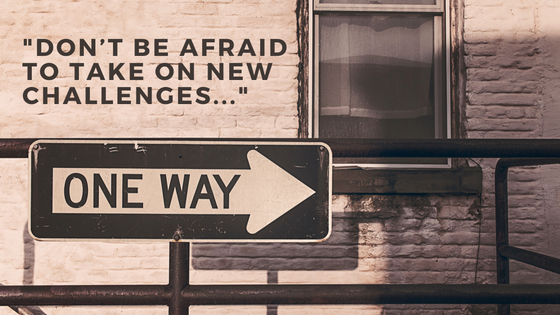 Don’t be afraid to take on new challenges and risks. It’s these decisions that show your true character as an organization. Is there a chance that you will fail? Of course there is. But failure should be viewed as growth...as motivation...and as a chance to disrupt. Like I mentioned in my previous post, I would love an opportunity to understand your approach for next season and see how we can implement some new things to improve your tax business. We’re very fortunate to have experts in different fields who understand the importance of innovation, and it’s our responsibility to share our knowledge with the people we want to benefit the most.